British couple Tim and Madeline Jones were very much a part of the rat-race, working in international finance, yet harbouring a secret desire to give it all up, and escape abroad. 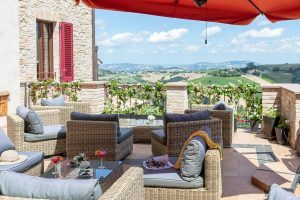 It was a dramatic change from their high-pressure, corporate lifestyle, but when they made the decision to start a renovation project to open a boutique hotel, in the medieval village of Montelparo, their dream eventually became a reality. Madeline has shared details on how this spark of interest became fuelled into a life-changing passion: “We spent our honeymoon in Italy enjoying a taste of La Dolca Vita and both felt an instant affinity to this land of good food, fine wine and abundant natural beauty. “Our interest in Italy never really went away, and over time the idea became a yearning and our dream became a possibility. We are both practical and methodical, so we made a strategic long-term plan to find a property that could also bring in a healthy on-going revenue. “I’ve always been driven and not at all scared of getting my hands dirty, working my way up the career ladder. I worked in investment banking for over 25 years, latterly in Singapore as Regional Head of Asia for a German bank. Starting as a ‘temp’ answering the switchboard before studying in the evenings to become a qualified Accountant. However, we all know that dreams such as this do not necessarily become a reality overnight. It took Madeline and Tim almost five years to find the right property. 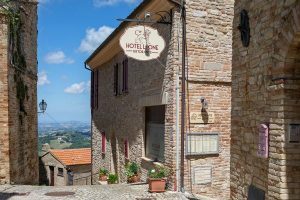 After viewing 100s of projects around Italy, they finally found what they wanted in the region of Le Marche: the Hotel Leone. The couple were happy with the location and the character of the property. It also had space for a restaurant, pool and dining terraces. 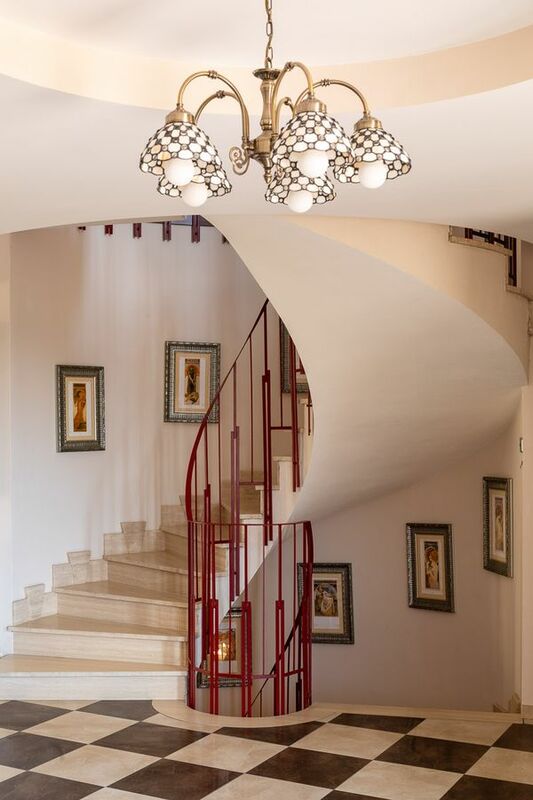 The documents for the property show that its original heritage dates to 1501, referring to it as the Palazzo Pellei, which was then the name of a noble and powerful Italian family! Certain items were found wrapped in cling film, in order to preserve them, and some have since been restored by a local artisan, to be used again. So romantic, don’t you think? There was plenty to be renovated, and it took a lot of hard work to modernise the hotel. There was even the exciting discovery of a wine cellar, hidden behind a wall that had been blocked up. Madeline explained: “After Tim and I studied some old plans of the building we quickly realised it was a false wall and opened it up to see what was behind. 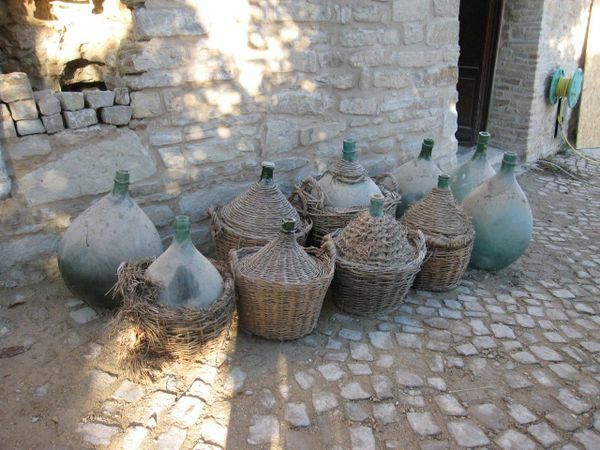 After excavating hundreds of years’ worth of silt and mud, a cosy wine cellar was created. The cellar is, in fact, a blocked off tunnel which would have been an underground route beneath the town. 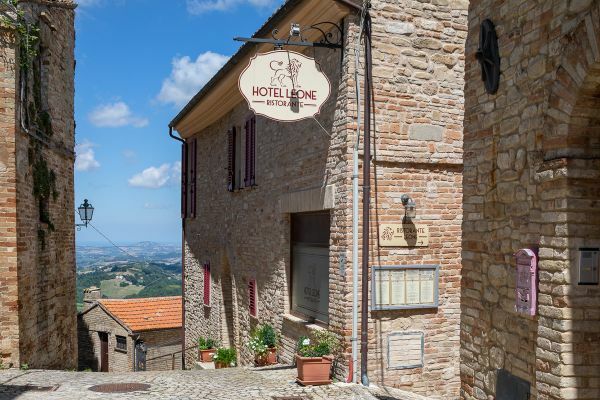 Madeline said: “Tim and I decided to use this time to retrain and consolidate our business plan for Hotel Leone. We don’t do things by half, so we both started studying Italian and Tim retrained as a gourmet chef the Sunrice Global Chef Academy in Singapore, gaining valuable experience working alongside international chefs including 3 starred Michelin Chef Christian Bau. This big project was fortunately made easier, by the fact that Tim had hands-on experience of property development in the UK. He made sure that everything was finished to a very high standard, sourcing local materials and overseeing a team of artisans, when needed. They made an effort to also save original architectural features, where possible. Tim has also explained his thought process, when it came to the design: “I fell in love with an old Odeon Cinema in the UK, with its the angular lines and opulent finishes. The majority of the work was undertaken personally by Tim and Madeline, including tiling, decorating and fitting. Local builders were used for work on the structure of the building. The couple chose to use environmentally friendly techniques and materials, wherever possible, and the Hotel Leone is set up to utilise solar power energy. It even has its own rainwater collection system, for watering the plants on the terrace! We hope you feel as inspired as we do, to consider taking on such a life-changing project. It will be hard work, and things won’t always go according to your original plan, but with perseverance and the open-mindedness to adapt efficiently, you could make that dream expat life a reality! 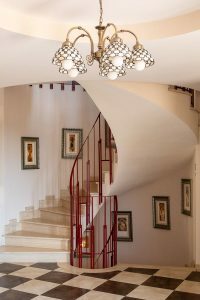 This entry was posted in Overseas Property and tagged Italy, renovation project. Bookmark the permalink.